I drove my Mum to her dentist appointment today, she had to have some major work done, and so along went the cardigan (rav link) I'm knitting for her. i find it hard to get rib even. 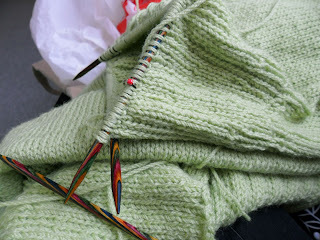 I am often unhappy with some uneven stitches but i rarely rip. Good on you if you decide to!